Online Seminar registration is now CLOSED. For questions, please contact Nancy Boudreaux at (210) 872-2078 or nancy@taptp.org. 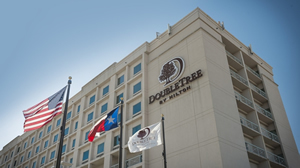 Overnight Accommodations: May be made with the hosting hotel by clicking this booking link or calling the front desk at 214-357-8500. Ask for the TAPTP Room Block rate of $189.00 per night (includes breakfast buffet for up to 2 in Sports Page Grill); or you are welcome to make other room arrangements. Schedule: Monday, 8 AM – 5:30 PM Tuesday, 8 AM – 5:30 PM Wednesday, 7:30 AM – 6:30 PM Thursday, 8 AM – 4 PM. Morning and afternoon breaks and beverage service are included in registration. Breakfast and Lunch are on your own. Paul Pennington, P. E. Pennington & Company, Senior Property Tax Consultant, practicing since 1979, The University of Northern Colorado, graduated 1976, author of numerous white papers and quoted as an expert by several DFW area media outlets. Serves on the TDLR Advisory Council. TAPTP Past President. Bill Campbell, Campbell Property Tax Advisors, Plano, Texas, Senior Property Tax Consultant, BBA Accounting Texas Wesleyan University, Fort Wort Worth, Texas, active in TAPTP since 1993. It is recommended that attendees bring a battery powered calculator. Additionally, please note that we rely on and refer to the Texas Property Tax Code and The Appraisal of Real Estate (available from the Appraisal Institute, 312-335-4100, www.appraisalinstitute.org). Links to the State Comptroller and the Texas Property Tax Code are available on our Research Links page.